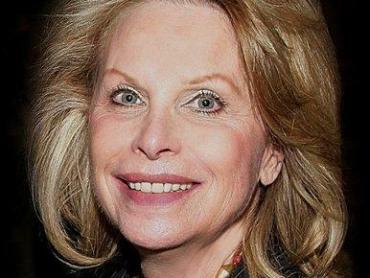 LOS ANGELES (CBS) A leaked coroner's report detailing the death of Hollywood publicist Ronni Chasen reveals that her assailant may have used at least one hollow-point bullet in the fatal shooting that occurred in Beverly Hills two weeks ago. According to the report, the high-powered publicist was stopped at a set of stoplights on Sunset Boulevard when an unknown vehicle pulled up alongside her Mercedes-Benz and fired into Chasen's passenger side window. It remains unclear how many shots were fired during the attack, but the initial examination done at the hospital shortly after Chasen's death revealed three gunshot wounds to her chest, the report said. "One bullet was recovered from her back while at the hospital and is possibly from a 9 mm hollow point," according to the document shown on Los Angeles television station KTTV. The use of hollow-point bullets is controversial because the slug is designed to expand after in enters a body, causing greater damage to tissue than a solid bullet, reports CNN. Chasen, 64, was gunned down in the early morning hours of November 16 after attending a premiere celebration of the new Cher film "Burlesque". Although the autopsy is not expected to be officially released until sometime this week, Los Angeles County coroner's spokesman Brian Elias confirmed to CNN that the three-page document obtained by KTTV News and shown during their local newscast appeared to be authentic. Elias told CNN that the report was written by investigators in order to help the doctor who would perform a full autopsy the next day. Although the report answered provided some details surrounding the mysterious death of one of Hollywood's most beloved publicists, police are still searching for suspects and motives. In the meantime, Beverly Hills Police Chief David Snowden has asked journalists to keep "erroneous information, theories or speculation" out of their reports. He assured the residents of the upscale neighborhood that the shooting was a "rare, isolated incident and that the Beverly Hills community remains one of the safest in the nation," says CNN.